Beanie Sigel was seen as the pit bull of the Roc when he first burst upon the scene in the early 2000's and could have been the one to usher in a huge era for Philly rappers. Legal problems then the eventual dissolution of that iteration of Roc-a-fella records led to a fall from grace for the Philly rapper who last tried to make a come back a couple of years ago by going at former boss/mentor, Jay-z. The results from that were underwhelming and this time, Sigel is going to just try to make it with the music, and not the gimmicks. The album starts out with a funk/r and b intro by Oliver Laing. It's actually kind of corny with the 'folk tale' that is inspired by Sigel. Had it been a normal song without the specific lyrics it could work. But the first actual song is "This Time" with Laing on the hook, it's a nice very polished song. You can tell the feel that Oliver brings to the track and thats whats most important on this song. Akon is another of the high-powered features on "All I Know" which actually sounds like it was released already. 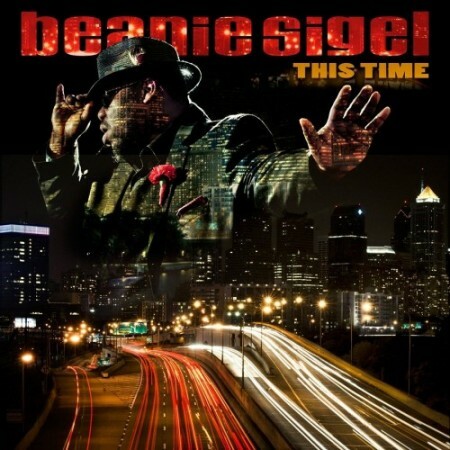 The track is nothing new neither is the hook as Sigel talks about remaining hood. On "Expensive Taste" which features Corey Latief Williams, Sigel tries to get his grown man on but it doesn't quite fit his style or personality. "Kush Dreaming" is slightly more into Sigel's style but it still seems more forced. Now "Bang Bang Youth" with Junior Reid is the Beans we have come to know, love and expect while he talks about youth in the streets. JT Roach features on "Bad Boy Mack" which has a laid back track but it kind of leaves things open for Sigel to struggle a bit with putting something compelling on the beat. "No Hook" takes a bit of a dig at Jay when he uses the same phrasing as Jay did on his 'No Hook' song but Beans is back into the attack mode on this track. The State Property gang comes together on "The Reunion" with Omilio Sparks, Freeway, Peedi Crakk, and Young Chris join beans on a track that does harken back to that hey day when they were popping, though none of them really has enough time to truly get on a roll and lay down some really serious bars. Another unknown, Sean Anthony Francis, co stars on the chorus for "Sigel is What They Call Me". His Anthony Allen style vocals aren't done very well and brings the song down a notch. The final track is "Dangerous" with Young Chris and The Game on a track that sounds like the bad use of an 80's sample and doesn't quite fit Beanie. In fact this song wouldn't have made any album dropped by the Roc back in the day. Sigel isn't the same any more. He struggles to come up with those street smart darts that he used to have ready. I have to wonder if all of the legal troubles and lack of success haven't led him to neglect his skills. Looking at his Breakfast Club interview the other day, he seemed to be high and not into it. This album sounds just like that, a guy scrounging to get a couple of dollars the only way he knows how.